Please share your images of the 2006 International Convention and Old Equipment Exposition which was held September 15-17 at the National Construction Equipment Museum in Bowling Green, Ohio. 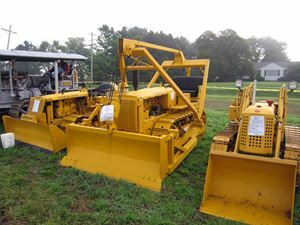 The Ron Laborie family owns this 1962 International Harvester Cub Cadet and B. H. 260 compact hydraulic backhoe. 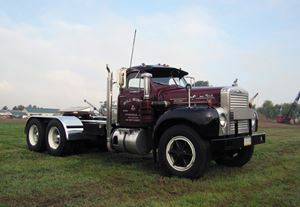 Will Wingo owns this 1963 Mack B75 truck tractor. 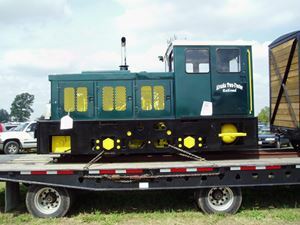 Hundreds of narrow-gauge Plymouth locomotives were used in material handling operations for excavation and paving before trucks were perfected, and many are still used in tunnel construction. This 1931 Adams No. 10 motor grader is pulling a 1915 Adams No. 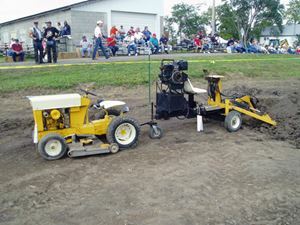 31 Leaning Wheel pull grader and circa 1900 Western Wheeled Scraper 1-yard wheeled scraper. Marvin Tolan owns all three machines. 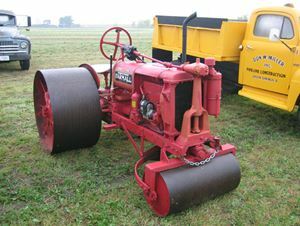 A Farmall roller? Yes, thanks to this dealer conversion of a 1937 F12, owned by George Hibbs. Think the elevated sprocket concept originated with Caterpillar? Think again! 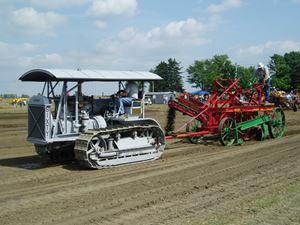 The Cletrac Model F, exemplified by this machine owned by Lakeside Sand & Gravel, dates to 1922. 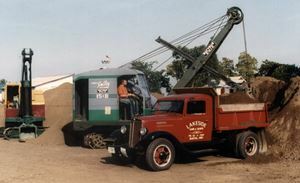 Two of Second Vice-President Larry Kotkowski’s machines, a 1942 Bucyrus-Erie 15B shovel and 1936 International C30 dump truck. 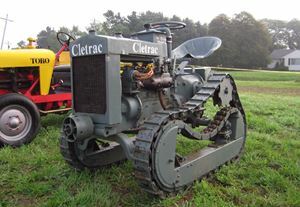 Trailer manufacturer Freuhauf acquired Agritrack (the former Agricat) in 1967 and produced the Trackmaster, a larger version of the diminutive Agricats, under its D-Fab Engineering Division. 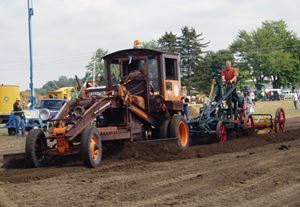 Will Wingo’s 1929 Cat Sixty gives the National Construction Equipment Museum’s 1917 Russell Township A elevating grader a workout. 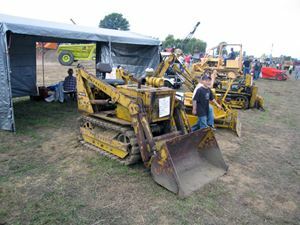 Three of the four machines shown by Charlie Capone of the Northeast RockBusters chapter: 1950 Cat D2, 1935 Cat R4, and 1950 Oliver OC3 crawler loader. 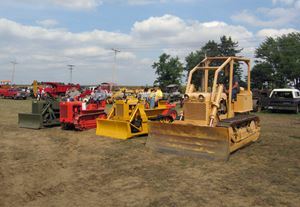 Four of the five members of the Case crawler tractor family tree: 1944 Clark CA-1 Airborne; U. S. Trac 10A; 1953 American Tractor Corporation Terratrac; and 1957 Case 800 Terratrac.